I have a building that is shingle topped with 6 whirley birds and the guy put a tin top on top. He took the whirley birds off and did not patch the hole and put the tin over the hole. Will this affect the metal roof where the holes are? He did not use underlayment on top of the shingles. Will that affect the metal? The ridge is 106ft length, should the ridge vent be cut all the way down the ridge? I’m not sure (that I understand your question) – if you email me pictures I will be able to judge the situation better. This is an interesting video, I’ve not seen metal roofing like this used in the UK for domestic property. What is the expected lifespan of one of these metal roofs? Regarding metal of treated wood. I had aluminum trim work done and in one frame area there was treated wood. The coated aluminum trim corroded through in the treated wood area and later other contractors told me its a well known fact you do not use treated wood under aluminum trim. Just to let you know. Hi, I have cathederal ceilings and my furnace is located in my attic. I can not vent the attic. How does that affect the life of the steel? Should I be installing a vent system above the roof deck before installing the roofing system? The still roof is not affected by cathedral’s ceiling lack of ventilation at all. What is affected is your roof deck (sheeting) – no ventilation can cause dry rot, especially if you use ice barrier over entire roof. I recommend using breathable underlayment so the roof substrate could be vented, albeit very mildly. Optionally you can install a “cold roof” which is essentially a second roof substrate with spacers between it and original substrate. You would install the 2×2 “rafters” running vertically, and then a layer of plywood on top of them. This will create vented space, and you cold then use soffit and ridge vents. 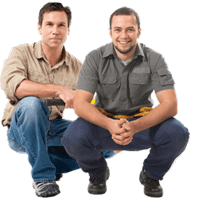 As for your furnace – it needs to be vented somehow – using a through roof or through wall vent. I mean – you do not want furnace fumes in the attic. Leo, what are the drawbacks to installing aluminum roofing over two layers of asphalt shingles? tks. Well – first of all installing aluminum roof as 3rd layer is against the building code in most states. I actually don’t know of any states that allow 3 layers of roofing. Second – you would be installing a lifetime roof over a substrate in unknown condition – there could be much rot which you cannot see even if your attic is not finished – along the eaves, at ridge line, etc. Third – the fastening would be not as good, because even the longer 2″ nails will have to go through 2 layers of shingles, which is about an inch, and then the substrate itself, and also nails need to penetrate substrate by at least 3/4″ – this will not be achieved with 2 layers of shingles. Basically you should definitely remove the shingles, and fix any wood rot, before installing the roof. If your going to overlay the metal to the shingles. Do you secure the metal to the shingles or use wood slats between the shingles and metal? I’m a little confused by your question. Do you mean installing metal roof over asphalt shingles or vise-verse? If metal roof over shingles, assuming roof deck is in decent condition and it’s only one layer of shingles, than you basically need to install underlayment + trim and then the roof. Just like there are no shingles. 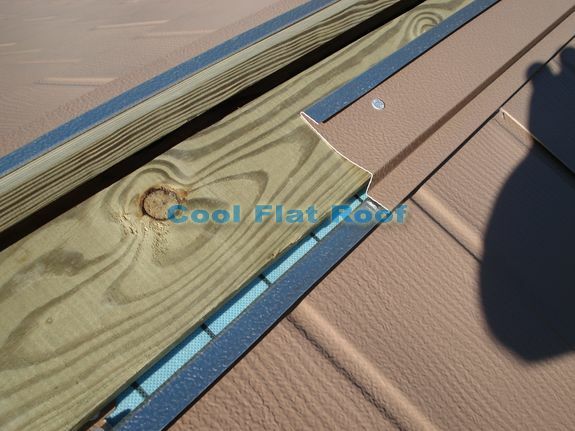 You would have to cut off the drip edge of the shingle roof, so metal roof trim lays nice and flat to the fascia board. If you mean something else, please elaborate in more details. PS – you cannot / should not install shingles over metal roof. If you are a do it yourselfer ……DO NOT USE treated wood ! It will damage metal roof material . I wont get into the debate . However it will ALWAYS be dry ,under the metal so there is no more need to have PT wood than if it were your coffee table. The water resistance of these systems worry me…especially regarding water blown up the roof. Considering that the top row of shingles is the same as the rest of the roof, shouldn’t caulk be applied at every row of shingles? I know this system is far from waterproof, but I’m downright afraid of relying on caulk and underlay. I’m really torn between choosing a system like this and standing seam. IT WAS A VERY GOOD ARTICLE, BUT I WOULD LIKE TO KNOW IF YOU RECOMMEND LEAVING THE OLD SHINGLES ON OR REMOVING THEM BEFORE PUTTING THE NEW METAL ROOF ON. A) a roofer in me saying that for best roof performance you are better off removing the shingles and fixing the roof deck if there is any rot damage. B) a green-minded person saying that if your roof deck is in good shape, you can safely leave the shingles on the roof (only one layer though), and install metal over the top. This will prevent unnecessary non-biodegradable trash going into landfills and your roofing cost will be lower. 1) all overhangs (drip edge with shingles) must be cut back to the rake / fascia board (your roofer should know what to do). 2) Make sure wooden substrate along the eaves / gables is not rotten. You could remove just a couple of rows of shingles along roof edge to fix any rotten wood. 3) install synthetic underlayment over the shingles. Felt will dry out and not serve it’s purpose in a mere five years. No ice and water should be used if you installing over shingles. You still need to pry siding away from the walls to insert sidewall flashing. Also you will need special flashing around the chimneys / skylights, and probably will want to replace lead counter-flashing with color matching metal counter-flashing. adjoining sheet. Any ideas or suggestions to stop the leak or ventilating the roof? I agree with Frank’s comment above. Treated wood can be avoided. It will corrode the metal at the contact point. Among the most preferred and popular of all residential roofing materials is aluminum.Bad quality paint can lead to the finishes breaking down and peeling off and your best bet would be to get the material from reputed manufacturers.nice blog! That is why in decks and porches where PT wood is used, a coated screw or fastener is highly recommended by all major manufacturers. In fact, stainless is the most preferreed but we all know that to be cost inhibitive. Frank, I agree about using coated corrosion resistant fasteners with pressure treated wood. However in roofing application you will rarely see any PT wood being used, except for wood nailer on flat roofs. Also on flat roofs, all roofing screws are made of corrosion resistant coated steel. In the video where you see 1×4 PT boards, that was the best material to use as the ridge vent opening always get rotted out when you open up an old roof. As for ice dams, you do not need PT wood along the eaves. The idea is to stop / prevent ice dams – not to fight them, and that is achieved with a good balance of insulation in the attic and roof ventilation. It would serve you well to know that treated wood is not recommended for surface contact with metal as it is highly corrosive. This condition will void any warranty of the metal applied. Just thought you would want to know. Frank – thanks for your view on this matter. I have to say though that first of all, there is always underlayment that separates the metal roof from the roof deck. Second, the special metal flashing that goes over the 1×4 PT boards at the ridge vent opening is made of aluminum, which is a lot more corrosion resistant than steel. Also, if PT wood was so corrosive, than what about deck construction – wouldn’t it rust all the screws in outside decks / porches? Apparently it’s not as corrosive as you think.